I was in Louisiana on a quest to learn more about Blackened Skillet Cooking. 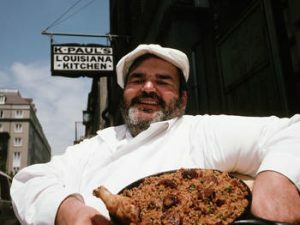 I went to several New Orleans restaurants including K-Paul’s and well known The Commandors Palace. 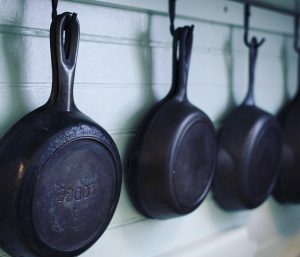 I loved Chef Paul’s cast iron collection in which he had a story about each of them. 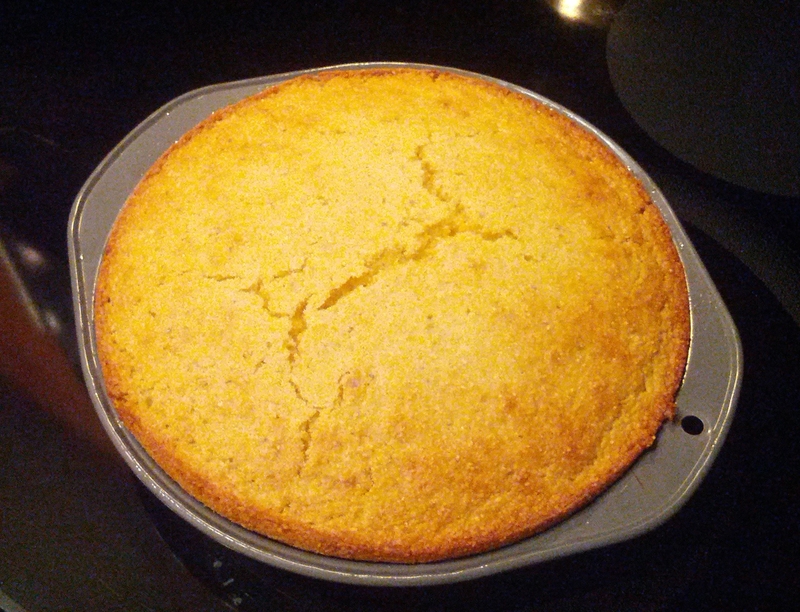 Paul Prudhomme first gave me the version of real corn bread the way it should be made with pork belly bacon fat, unpasteurized buttermilk and duck eggs made in a well seasoned cast iron skillet. It sure was a tasty version. I began to make this recipe by the fire for shore lunch with fresh caught perch or pickerel. Great on a BBQ with a nice Jambalaya too. My second recipe that I use came from chef Emeril Lagasse while visiting New Orleans . They made this wicked jalapeno laced version. They also injected old sharp cheddar to really be noticed. They made little mini loafs and served it with the the blackened Bam Bam Catfish and the soup du jour. 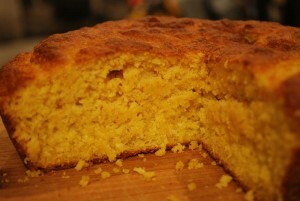 Here is that simple recipe that once you have tried, you will be back for more. Add dried chili, coconut flakes or fresh herbs if you want it more personal. 2 to 3 jalapeno chiles, seeded, deveined and finely chopped. 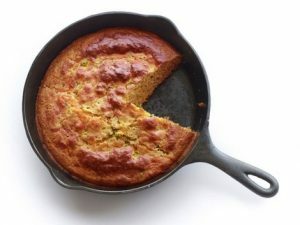 In a 10-inch cast-iron skillet over medium-low heat, melt 1 tablespoon butter. 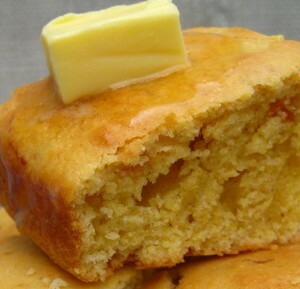 If using an 8-inch-square baking dish instead, simply grease the bottom of the dish with some of the butter and place the remainder in the bottom of the dish. Set the skillet or dish aside. In a small bowl, mix the buttermilk and eggs together well. Fold the wet ingredients into the dry ingredients to thoroughly mix.